Sometimes all that bright sun on your deck is an unwelcome surprise, as is a sudden summer rainstorm. 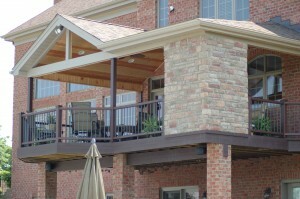 At Affordable Decks & Additions, we can design and construct a more comfortable shelter that provides a tasteful, outdoor living space in a variety of specifications. 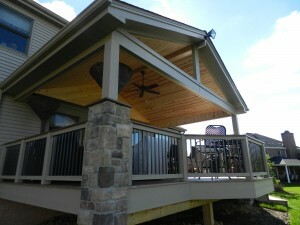 Allow us to upgrade your porch or deck with a professionally installed, maintenance free ceiling system. Provide yourself, family and friends with many hours of enjoyment, whatever mother nature has in store. 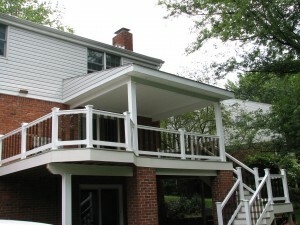 What sets us apart is our clear span roofing system. 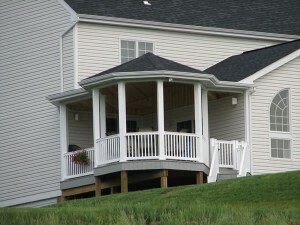 We provide you with a wide open view from your deck or porch. 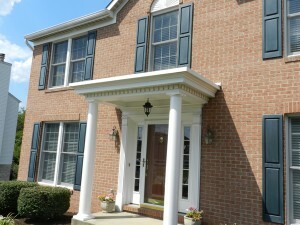 Rather than posts every 8 feet, we span our posts and columns as wide as will be allowed by engineer’s specifications. 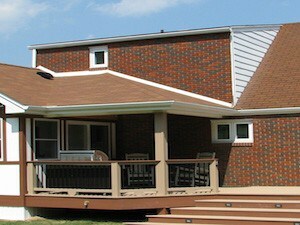 We will create the perfect roof to accent the look of your house, making it seem as though it was always there. 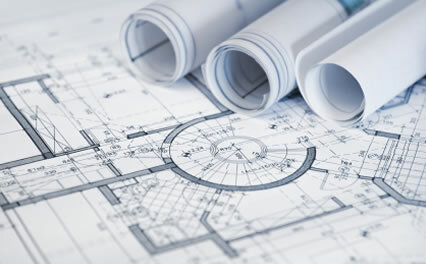 We offer a variety of roof styles and combinations along with different ceiling and post finishes to get the best look and most function for your project.